Radiologic Technology (XR) is an allied health field which utilizes electromagnetic energy to produce x-ray images which the physician uses to diagnose disease processes in the human body or to rule out the existence of disease. The radiologic technologist or radiographer (RT(R) works under the direction of a radiologist, a medical physician. The course of study involves radiation production, the ability to position the body accurately, usage of radiation safety, communication with individuals under stress due to illness or injury and development of professional attitudes and ethics such as dependability and initiative. 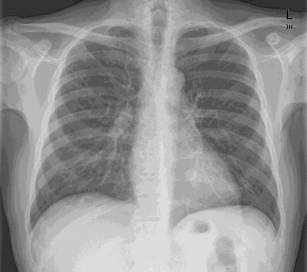 As a member of the medical team, the radiologic technologist requires education not only in using equipment and applying the specialized techniques of radiology, but also human anatomy, physiology, medical terminology, physics and disease conditions. 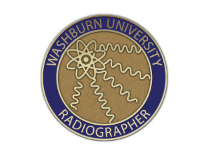 Radiography education at Washburn University is administered through the School of Applied Studies and is designed to prepare an individual to become an entry-level radiologic technologist (radiographer). Classes begin mid-August and include one summer session. Completion of the 21 month program enables a graduate to apply for the national certification examination administered by the American Registry of Radiologic Technologists. The program consists of general education, required related courses such as anatomy and physiology, radiography lecture, labs and clinical courses. Program structure allows for simultaneous completion of lecture and clinical education requirements. Upon successful completion of the curriculum, graduates are awarded an associate of science degree. The Radiographer Program is accredited by the Joint Review Committee on Education in Radiologic Technology; 20 North Wacker Drive, Suite 2850, Chicago, IL 60606-3182; email address is mail@jrcert.org; phone (312) 704-5300. Program effectiveness data is available at http://www.washburn.edu/academics/college-schools/applied-studies/departments/allied-health/xr/quality-indicators-accreditation.html, as well as the Joint Review Committee website. Accessible information includes five-year credentialing examination pass rate, five-year average job placement rate and annual program completion rate. Go to http://www.jrcert.org and look for the “Students” heading, then select “For a report of JRCERT program performance measures, click here”.